"Is it any good to hold ceremonies and grandiose parades to commemorate the devastating World War II?" some Western social media users asked, following the May 9 Victory Day parade in Moscow. Gilbert Doctorow and Edward Lozansky believe that WWII memories are of great importance to both Russia and the West. 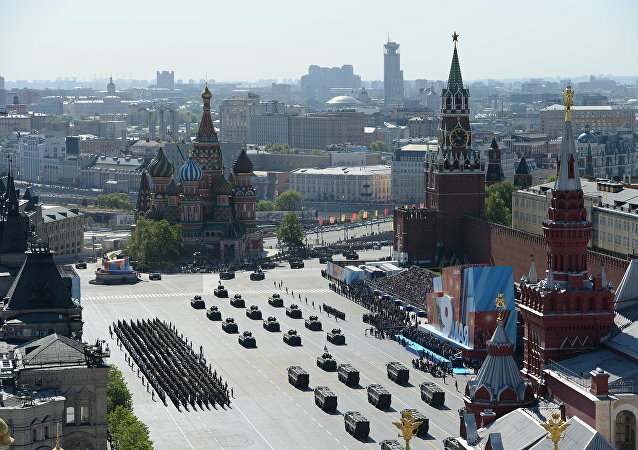 Western media drew some “valuable conclusions” about the general trend in the Russian military development based on the equipment “proudly displayed” during Moscow’s Victory Day parade. As Russia celebrates the Soviet victory over Nazi Germany 71 years ago, Radio Sputnik’s Loud & Clear talks with historian Peter Kuznick about the West’s habit of downplaying the USSR’s role in World War II and the United States’ part in sparking the Cold War that followed. 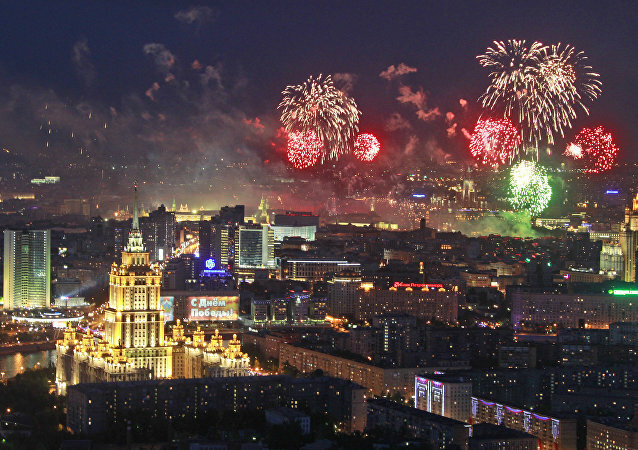 Celebrating the defeat of Nazi Germany 71 years ago, fireworks light the sky over Moscow. 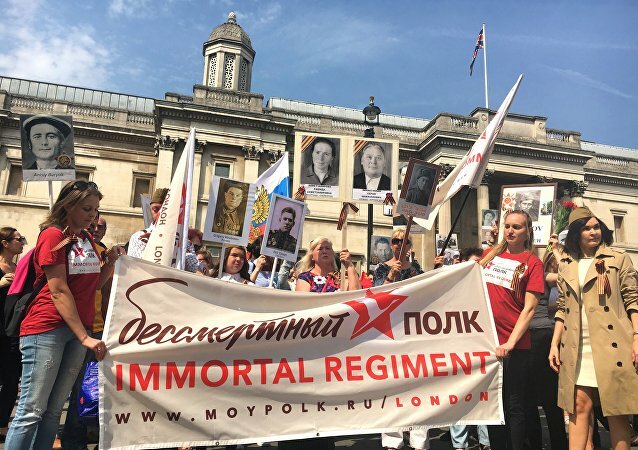 An "Immortal Regiment" has marched through Central London to mark the 71st anniversary of Victory over Nazi Germany. The tradition that started in Russia in 2012 involves a procession of people carrying portraits of their relatives or friends who fought and died in the Second World War. Russians celebrate on Monday, May 9, the 71st anniversary of the victory over Nazi Germany in the Great Patriotic War of 1941-1945. Thousands have taken to the streets in Moscow to participate in a procession known as the Immortal Regiment. They carry photographs of their relatives who fought against Nazi Germany during WWII. 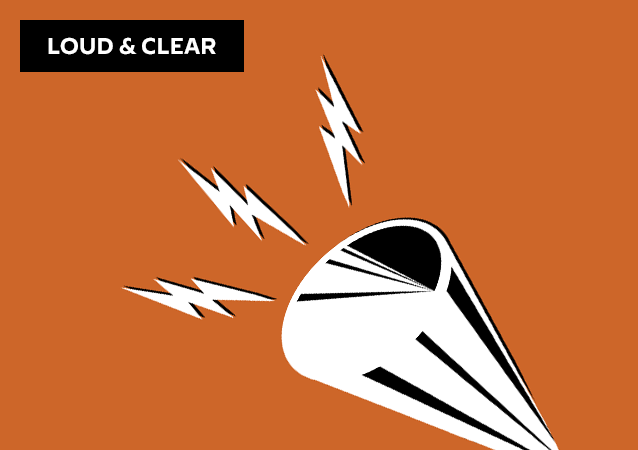 On today's special episode of Loud & Clear, Brian Becker is joined for the full hour by historian Peter Kuznick, the co-collaborator with filmmaker Oliver Stone in the Untold History of the United States: a ten-part video series and companion book of the same name. 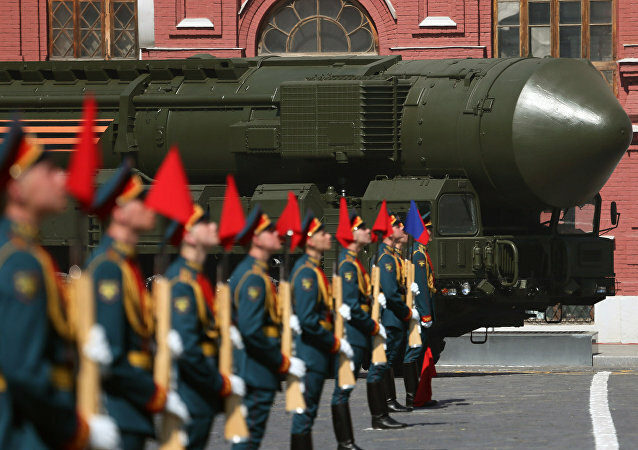 A military parade marking 71 years since the Nazi Germany's defeat began in Moscow on Monday. 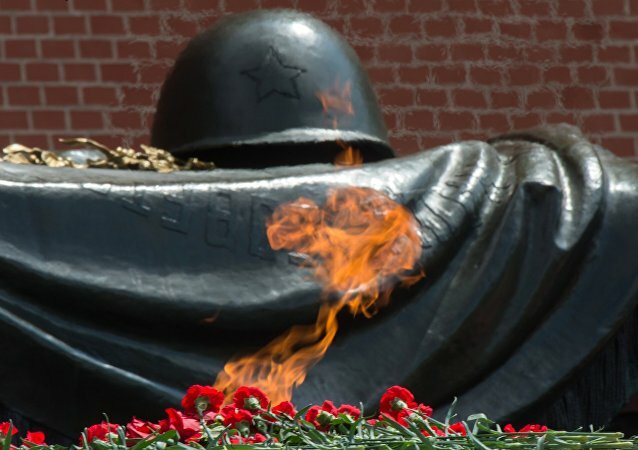 The "Immortal Regiment" patriotic initiative honoring victory over Nazism in World War II will take place in the Armenian capital of Yerevan on May 9, the organizers said Saturday. 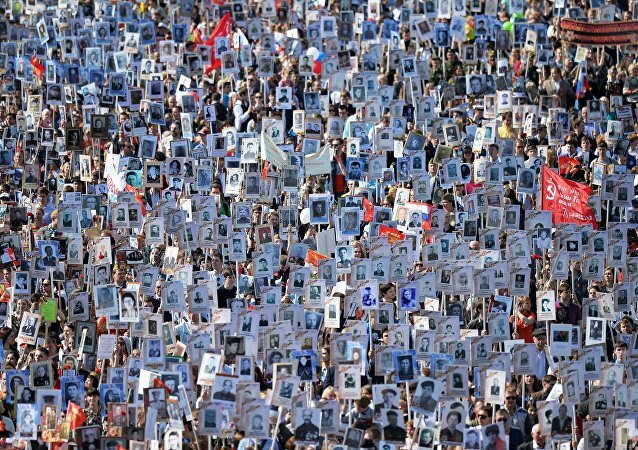 Everyone is welcome to attend the Immortal Regiment patriotic initiative honoring victory over Nazism in World War II in London regardless of their nationality, citizenship, faith or political views, the organizers said in a statement Saturday. Russia's top-notch aircraft whizzed across the Moscow sky during the final rehearsal of the Victory Day military parade on May 9. More than one hundred aircraft participated in the final rehearsal of Victory Day military parade in Moscow, a source in the Russian Defense Ministry press service said Saturday. 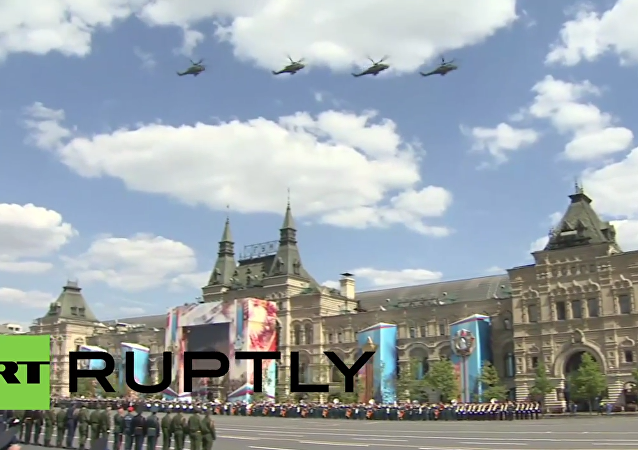 The final rehearsal of the Victory Day parade is held on the Red Square in Moscow on Saturday. After finally making it to Europe by plane, members of the Night Wolves biker club hope the rest of their ride to Berlin will go smoothly, the event’s organizer, Andrei Bobrovski, told Sputnik. The US ambassador to Russia laid a wreath at the Tomb of the Unknown Soldier in Moscow. Over 10,000 St. George's Ribbons, symbolizing the Soviet contribution to the Allied victory in World War II, were handed out in New York on Friday ahead of the 71st anniversary of the Nazi capitulation, an event coordinator said Friday. 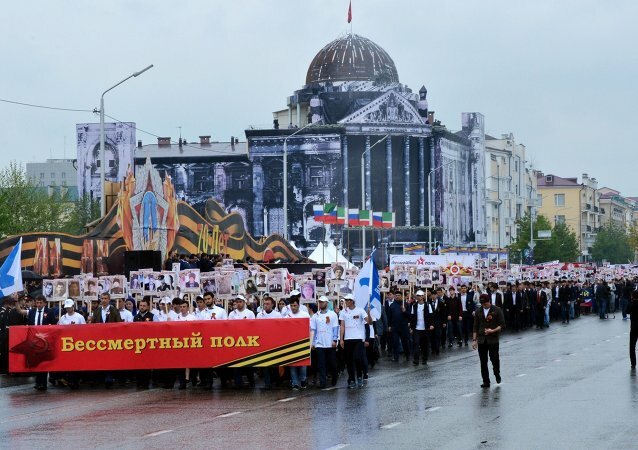 Tens of thousands of people are expected to participate in the 2016 Immortal Regiment march, commemorating the Victory Day in Moldova, Igor Dodon, the head of the Socialist Party of Moldova (PSM), who is also one of the organizers of the event said Thursday.